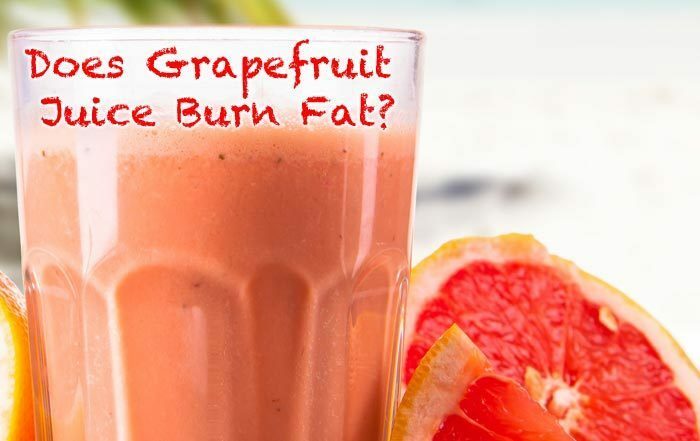 Does Grapefruit Juice Burn Fat? Even when casually glancing at the contents of health and lifestyle web pages or magazines it is difficult to avoid seeing reference to fat burning food. Titles like ‘The ten best foods to burn fat’ are fairly commonplace but when searching for evidence you will find just as many articles busting the ‘myth’ of fat burning food, so where does the truth lie? Any list of food that helps the body to burn fat will likely contain grapefruit. The grapefruit diet is nothing new; it has existed in one form or another since the 1930s and has enjoyed several spells of popularity during that time. Proponents of the grapefruit diet tell you that if you eat grapefruit before consuming anything else it will help your body to burn off fat thanks to certain enzymes contained in the fruit. Sounds great doesn’t it; almost too good to be true you might think and I would say you are right to be skeptical. I have struggled with my weight at times during my life and pay a fair bit of attention to my diet. The concept of a food which was not only low in calories but actually burned fat (specifically belly fat) more effectively than others always struck me as very far-fetched. I never paid much attention to these types of claims—they seemed tenuous at best. At least not until recently when I was asked to write this article. In brief, the consensus seems to be that while certain food will help you to lose weight as part of an overall diet, the near unanimous opinion of health experts is that there is no such thing as a food which burns fat. The Magic bullet food is simply a well-propagated myth. You might need to lose weight in a hurry and there is evidence that the grapefruit diet can help you to achieve those goals, at least in the short term. If you are thinking of giving the grapefruit diet a go, I hope you like grapefruit. There are several versions of the grapefruit diet floating about on the internet but they all have one thing in common; you’ll be eating an awful lot of grapefruit. The grapefruit diet was originally designed and is still used to kick start your weight loss plan by losing a significant amount of weight in a short period of time. The grapefruit diet lasts between 10 and 12 days and promises that you can lose up to 10 pounds by the end of that period. The attractions are obvious especially if you need to lose weight fast, maybe you need to lose a couple of extra pounds in a hurry to squeeze into that special dress. Unfortunately, like most extreme, fad diets the effects are unlikely to last. We know that it is better to lose weight slowly and that weight lost too quickly is likely to make an unwelcome return just as fast as it disappeared but if losing weight fast is your aim, there is evidence that it really can work. One study carried out on obese people revealed that those eating a grapefruit before their regular meal lost significantly more weight than the control group. Researchers monitored the weight and also metabolic factors like insulin secretion of the 100 male and female participants in the study. The results were encouraging if not conclusive regarding the reasons. Those participant that consumed half a grapefruit before every meal lost an average of 3.6 pounds and those drinking grapefruit juice 3 times daily lost an average of 3.3 pounds. Those losses seem fairly low but many participants lost over 10 pounds. Apart from the addition of grapefruit or grapefruit juice, the participants in the study continued with their normal daily routines and made no other changes to their diets. The researchers have speculated that the chemical properties contained in grapefruit help to reduce insulin levels which encourages weight loss. They hypothesize that a smaller insulin spike after you have eaten your meal helps the body to more effectively process the food for energy meaning less is stored as fat. When you look at the typical composition of a grapefruit diet, it seems clear that it will help you to lose weight but unfortunately, there is no evidence of any mystical fat burning enzyme doing its magic. Experts suggest that the water content of the grapefruit probably helps you to feel full meaning that you will eat less than you ordinarily would and cutting out sugar and refined carbohydrate like bread, pasta and potatoes is bound to have a positive outcome on your weight but it seems as unlikely as it sounds that grapefruit actually melts the fat from your body. 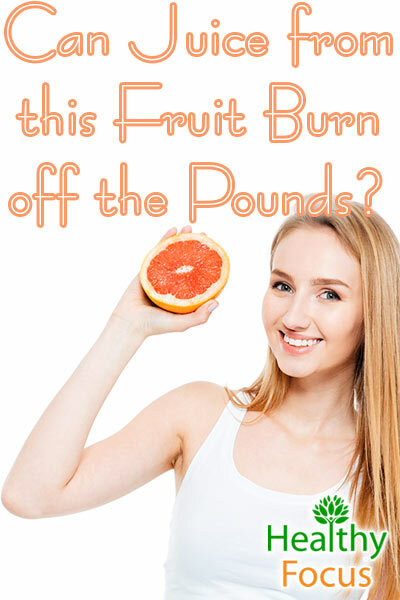 Very few scientific studies have looked into the effects of grapefruit on the metabolism but before dismissing the idea out of hand, I should mention one of the few pieces of scientific research which supports the fat burning claims of the grapefruit diet. The study was carried out at the University of California on mice over a 100 day period and the results were interesting enough to suggest that grapefruit might have some effect on metabolic rate. Mice given a high fat diet that also consumed grapefruit juice gained significantly less weight than mice given the same diet only with water rather than grapefruit juice. In addition, the mice given grapefruit juice also had a significant reduction in glucose and insulin levels. The researchers were unable to isolate the grapefruit compound which affected the weight gain but ruled out naringin which had often been associated to weight control. Ironically highest concentration of naringin is in the grapefruit peel—which I have juiced and let me tell you is incredibly bitter. The researchers themselves seemed surprised by the results but admitted that they were unable to find the smoking gun which might explain how grapefruit affects the weight but felt the study justified further research. Should you try the Grapefruit Diet? If you are trying to lose weight very quickly for a specific purpose or simply to give you a kicks tart then it can certainly do the trick short term. The diet does not need a great deal of preparation and can be followed fairly easily, however the grand claims that grapefruit will burn or melt fat off your body on its own should be taken with a pinch of salt. 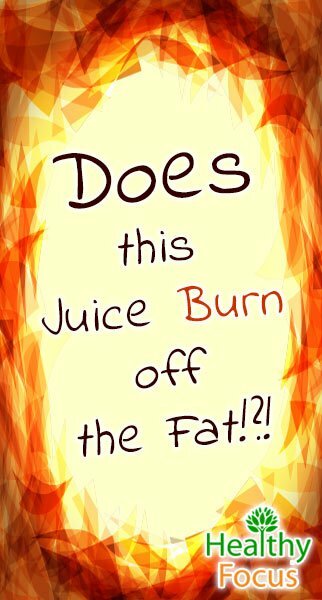 No specific fat burning enzyme has ever been found and most experts do not believe such an enzyme exists. The person that discovers the secret fat burning compound is likely to become a very rich man indeed especially if it means all you have to do is eat it to lose weight. READ What is the Best Reishi Mushroom Supplement in 2017? Adding fresh grapefruit or grapefruit juice to your diet will have many health benefits but will not be any magic bullet for weight loss. As usual, a common sense approach to weight loss is the best option. Fad diets rarely work long term and you are better off losing your weight slowly by incorporating a variety of healthy food into your diet as well as cutting down on sugars, processed food and carbohydrates. Making sure that you are getting enough exercise will not only help your physical and mental health but will also help you to control your weight in the long term. 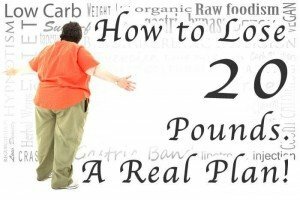 For a great plan that will really help you lose weight–try this plan.